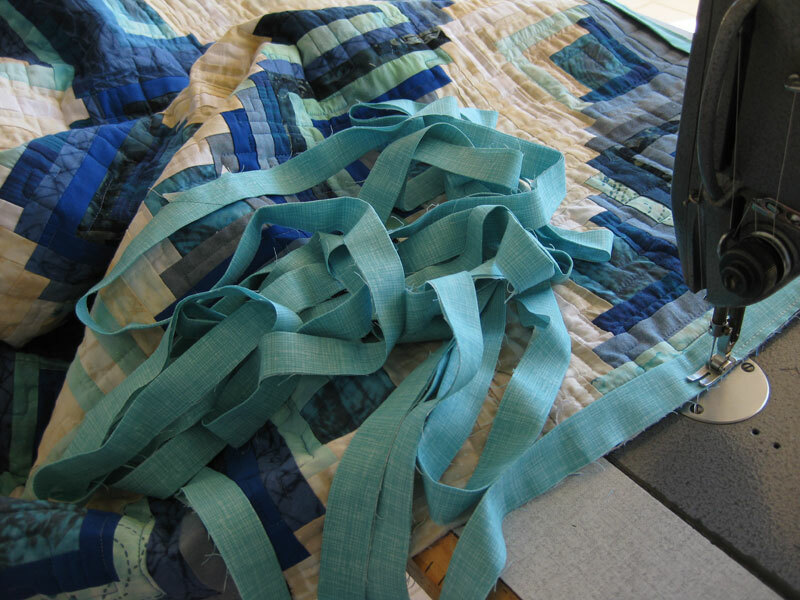 My blue Log Cabin quilt shown HERE came back from the long arm quilting of Eleni, who did a wonderful job again. 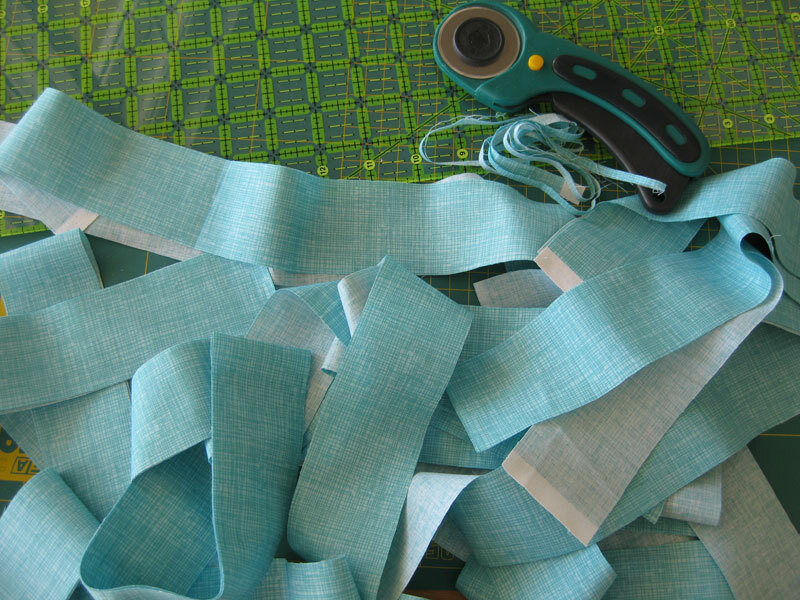 I chose an aqua fabric for the binding and I sewed it as explained HERE. You can see a close photo of my presser foot, and as several persons asked me what kind of sewing machine I use, I wished to give you a little explanation : this is an industrial Singer machine that my husband gave me after he closed his factory almost 20 years ago. I had never used a sewing machine before as I was piecing all my quilts by hand. This big machine was quite impressive for me in the beginning, but when I got used to it I really appreciated, it's a dream of a machine that never needed any service all these years! 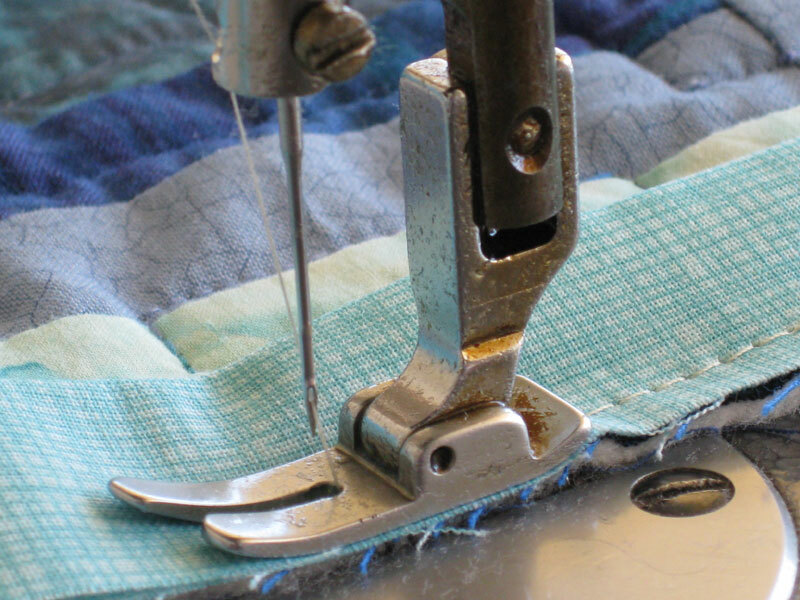 It allows me to sew without ever pinning anything, which is time saving! Now I'm going to handbind on the reverse side of the quilt, quiet in the garden... summer came back here! The turquoise binding is beautiful ! This binding suits this quilt perfectly, Christine! I love sewing the binding down, the final relaxing part of the process. Enjoy the garden. Your quilt is wonderful... and I love the process of binding... I'm alway excited if the finishing of (even a small) project is near - I think sewing the binding on the right side by hand is a very calm and satisfying kind of finishing. Christine, your machine is a wonder! It certainly makes fabulous stitches and your quilts are works of art. I know the machine was a gift that has helped you make many MORE gifts! 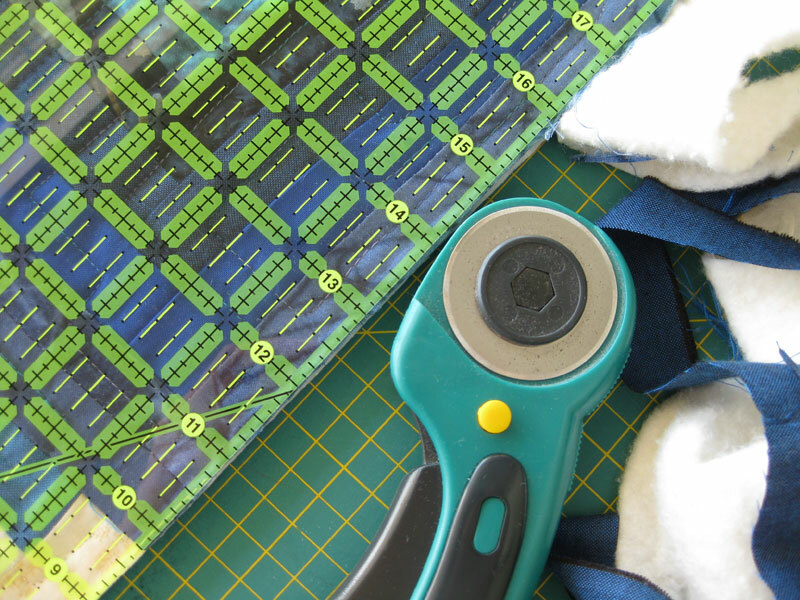 Love that your binding matches your rotary cutter! Pretty blue binding! Thank you for linking to my blog too!